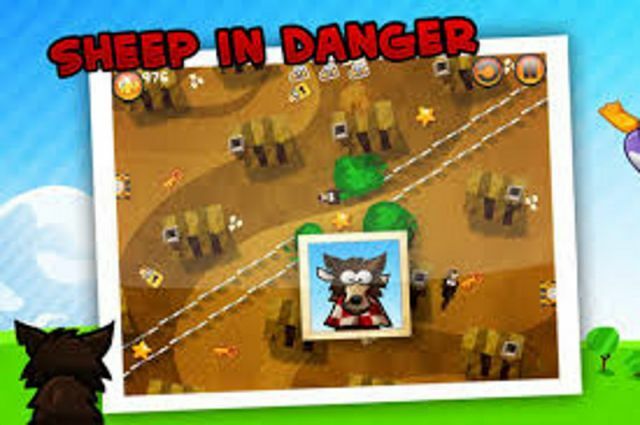 While Crazy Escape is slotted into the Puzzle genre of games, within the realm of Puzzle games it is really a Drawing game that takes advantage of the touch screen that is the foundation for iOS devices. Created by the French indie-developer KoolFing Studios — a video game and entertainment application development company that is well known for its focus upon web and mobile platforms — the game instantly stands out as one of the more original and entertaining titles on the iOS platform. 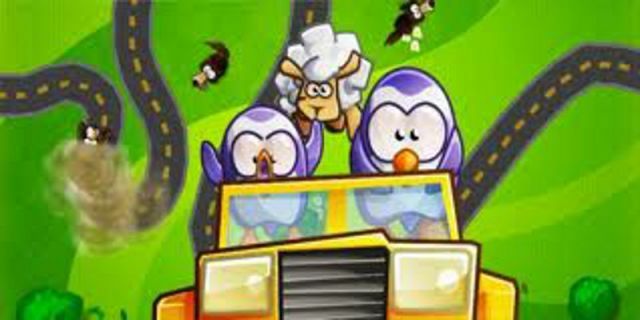 The basic premise of the game is a simple one: a pair of penguins with strong convictions for animal rights have swiped a jeep and are intent upon the rescue of a herd of sheep who have been captured by a pack of wolves! Their goal is to rescue every sheep, but to do that they must navigate through puzzle-like environments in which fences, rocks — and wolves — factor as impediments, while arranging their route carefully so as to be as effective as possible in their Save the Sheep efforts. The sheep in this wonderfully entertaining light romp represent an animated presence of innocence, while the penguin protagonists represent the forces of good. The wolves of course represent evil, and the environment in the game, which is made up of natural impediments that must be avoided in an ever-increasing challenge with each new level create the critical presence of difficulties that can only be overcome through strategy and quick reaction. The base cost for the game is the traditional .99 cents, and its in-game purchases include Level Skipping Tokens, Wolf Control Tokens, and alternate vehicles including a Desert Tank, Chopper, Fire Truck, Digger, and Crazy Speeder. Additional levels can also be added to the game via the "Western Pack" in the in-game store, which features 25 Western-themed new levels. 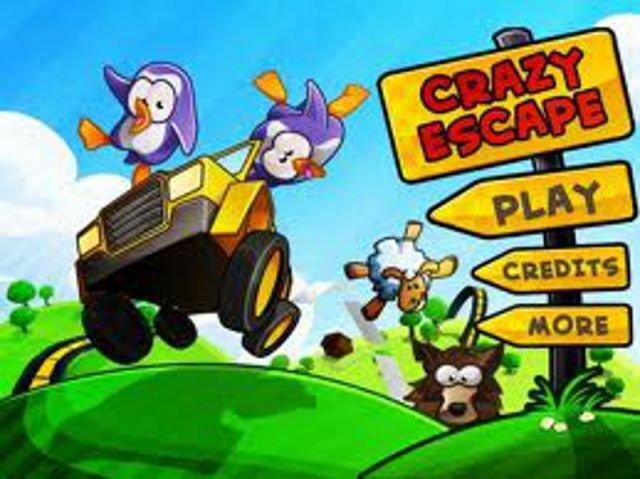 From a longevity standpoint Crazy Escape has a lot going for it, first in terms of its play style, which is ideally suited for the sort of bite-sized chunks approach that the mobile game format really needs to be a success. Packing more than 250 levels into the game, the level system is unlock based - which is to say the player must complete the previous level in the chain in order to unlock the next one. 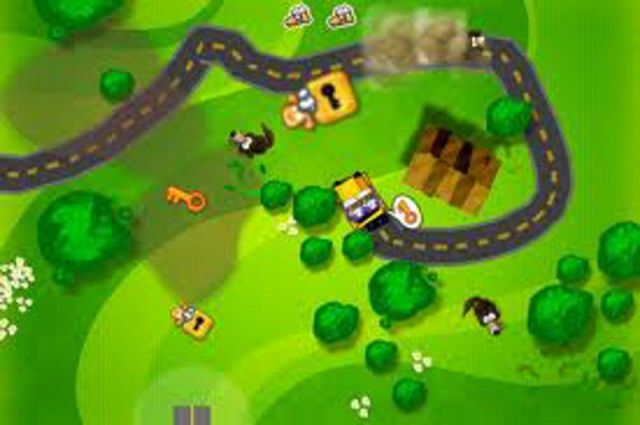 Scoring in the game takes several things into consideration including the road length (you create roads as you drive the jeep) with shorter lengths being better (and the goal), your success in rescuing the sheep, and dealing with any of the impediments that are part of a level. Score uses a three-star system, and as each level is finished you are treated to a summary results assessment. The game features rather unique sound effects for the actions and objects encountered, as well as sporting a cheerful theme song and occasional soundtrack. Among the more interesting elements of its basic sound package is the nature sounds that are present throughout. The graphics in the game are a cartoon-style approach with a pleasing and crisp edge to them that at once establish the game identity. Considering the low cost (it is a .99 cent game) and the massive selection of levels, this one has a better than average value for the money thanks to a lot of effort on the part of the developer to provide a deeper game play experience. Adding all of that up gives this one a solid 4/5 score. Aqueducts is a puzzle game in which your ..
Embark on a journey through the forest and ..
You Must Build A Boat is the sequel to the ..
Stay on the wall and do as many zigzags ..